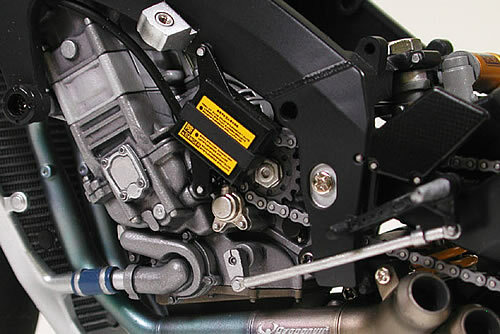 << Back TAMIYA "Kawasaki Ninja ZX-RR"
The Ninja ZX-RR was Kawasaki's first MotoGP machine equipped with a 4-stroke engine, and after overcoming initial teething problems, began to show its potential. 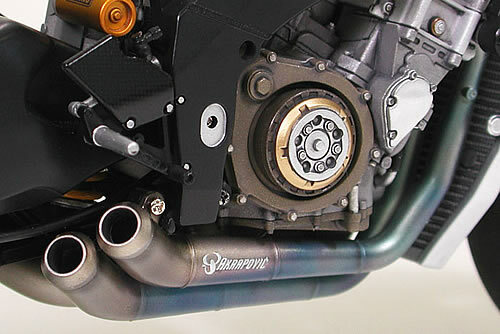 With the addition of rider Shinya Nakano in 2004, the team kept improving and became capable of challenging the top teams for race honors. 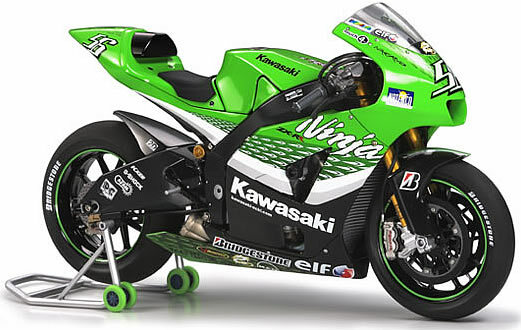 Nakano rode the lime-green, 990cc-engined machine to a second place podium finish at Round 8 in the Netherlands for his best finish of the 2006 MotoGP season. 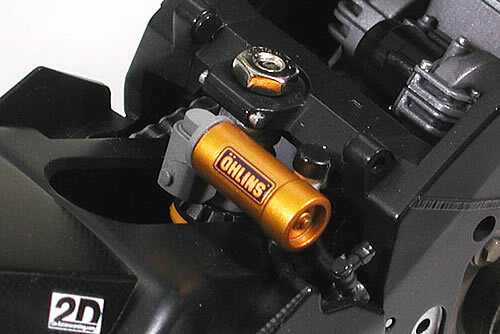 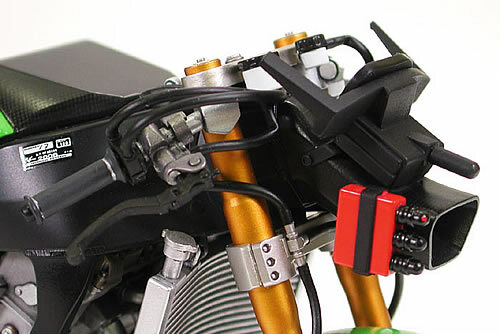 High-quality 1/12 scale assembly model kit of the 2006 Kawasaki Ninja ZX-RR. 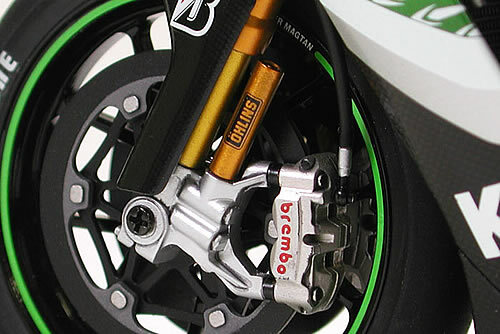 Brilliant livery can be recreated using Tamiya paints (Light Green & Semi Gloss Black), with sponsor logos provided by beautiful Cartograf decals. 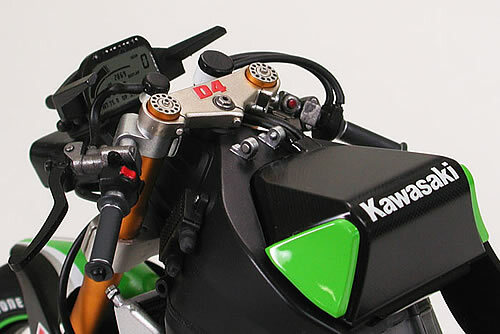 Markings for both Shinya Nakano's No.56 and Randy de Puniet's No.17 included.